Lekker Commuter Saddle Black | Shop yours! The Sporty Commuter Saddle is now available in two colors: Black and Classic Brown. These saddles are a perfect fit on the Lekker Sportief Series, but are in general a perfect commuter saddle on a wide range of bikes. 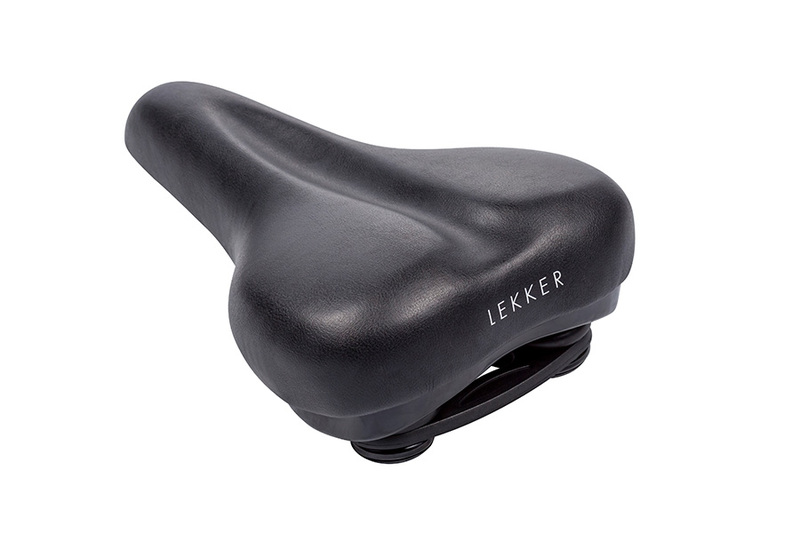 The Lekker Commuter saddles are the perfect shape and size for riders who like to comfort of classic saddle, but want to preserve styling and a fast commute. The weatherproof vinyl and use of durable materials make this a perfect saddle for daily use.